Seven students from Harvard and MIT are cycling across America, stopping in many rural towns to get kids interested in science through hands-on workshops to program computers, launch model rockets and build robots. The students hope to inspire the next generation of scientists and use the workshops - they call them "learning festivals" - to brush off dusty stereotypes. "We're trying to break as many of the stereotypes as possible. For science, you think of people in lab coats with gray hair," said group member Drew Bent, a freshman studying physics and electrical engineering at MIT. "We're coming into the festivals with bikes. We want to show that engineering can be glamorous, and that a lot of us are athletes." The project is called Spokes, a collaboration that started in 2013 when a group of students from different colleges embarked on a trip that was part endurance challenge, road trip and teaching experience. Since then, each year's members have recruited the next year's group. This year, students left from Washington, D.C., on June 1 and will finish in California in August, with plans to host a dozen workshops along the way at schools and libraries. After finishing their ride in Sausalito, California, the group will head back home, but they'll stay connected to some of the students they meet. For the first time, the group is awarding 10 grants of $1,000 to pay for student inventions that solve real-world problems. Along with the money, grant winners will be paired with Harvard and MIT students to serve as mentors. "We can't teach them programming in a day, but we can get them excited about programming," Bent said. On a route that spans 4,000 miles, the group typically skips big cities in favor of rural towns. They target areas where schools might not have the resources for flashy experiments, and where careers in science aren't always visible. The first workshop is planned for June 12 in Hazard, Kentucky, with a population of 5,400. "A lot of these communities are hard to reach and aren't along the beaten path," said Simon Shuham, a Harvard sophomore. In contrast, he added, many students at Harvard had the benefit of strong science programs back home. 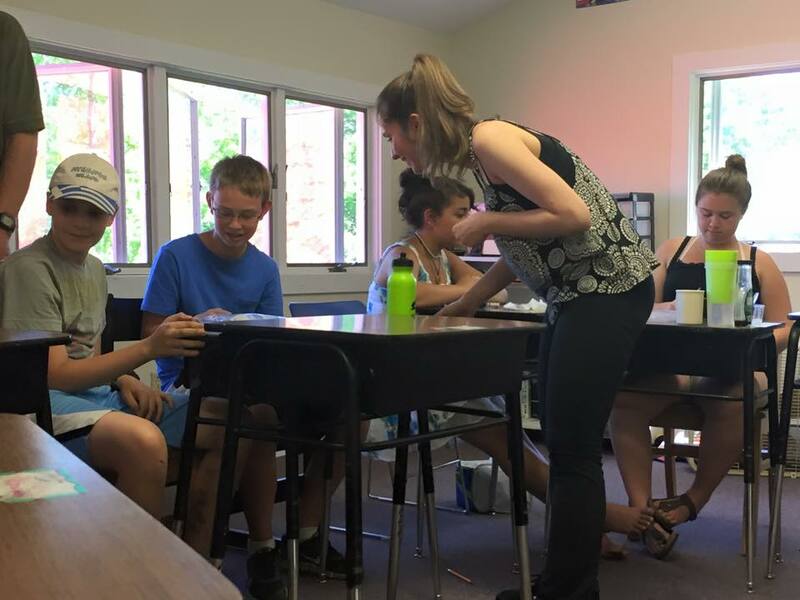 As a tuneup for the tour, the group hosted a workshop in May with seventh- and eighth-grade students at the Grammar School in Putney, Vermont - a 115-student school one of the Spokes members attended. "I'm not the most interested in computers, but it makes me want to learn more about computers work and how things are programmed," Cameron said later. "I think that if you give kids the chance to learn hands-on with these kinds of things, then they're always going to be eager learners," he said.